Uuuuuuuuuuuuuuuuuuuuuuuuuuuuuuuuuuuuuuuuuuuuuuuuuuuuuuuuuuuuuuuuuuugh. Why is this band so good? I know that that's the hard-hitting music writing you come to this site for but that's pretty much where I'm at with Jesus and His Judgmental Father, who learned about from queer punk podcast Homoground. 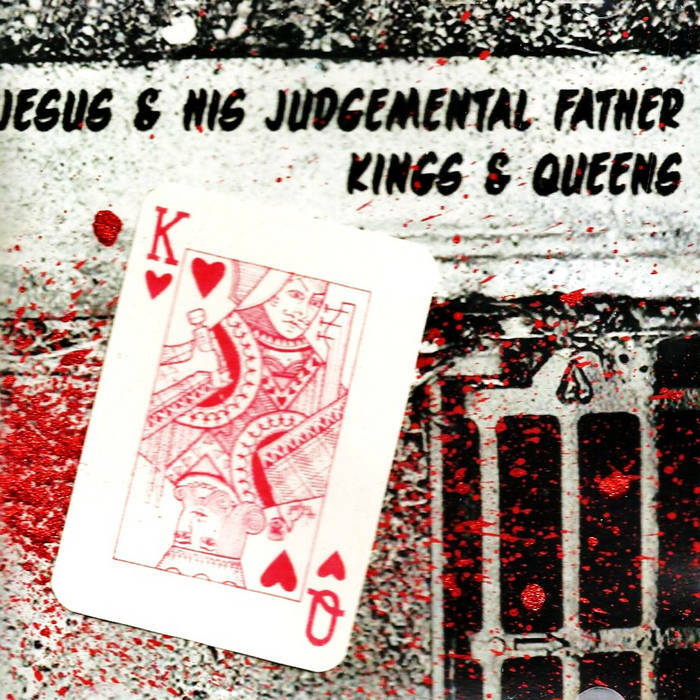 The title track, "Kings and Queens," has a bubbly Clash-reminiscent bassline and gentle 90s post-punk vocals. The dispassionate vocals and catchy melody coalesce into a chilling song about trans* bashing. Once the bridge hits you, you see that the uptempo music is really just a sugary veil hiding unabashed rage. And let me tell you, that's how being queer feels a lot of the time. Jesus and His Judgmental Father attack toxic masculinity and breakups with equal aplomb. The band's ability to deliver sharp twists in their lyrics makes them stand way out from a crowded field. The band's pride and sense of self is really quite intoxicating, even in its darkest moments. This is the kind of music that makes me -- and I hope, you -- feel seen and heard. I hope they make it over stateside one of these days. We need them.